Investigative Report: Liberian Situation and Star Radio: Bureaucratization of Clandestine Radio By Nick Grace C. January 30, 1998 ELWA before and after being destroyed and looted in 1990. Liberia's story is a tragic one. It was established by freed American slaves in 1847 and was a bastion of peace during the tumultuous Cold War. In 1971, William Tolbert became president for the Americo-Liberian government and was executed in his executive mansion nine years later when domestic politics took a turn for the worse. Samuel Doe, who was 27 years old at the time and an ethnic Krahn, commanded the new government and sowed close ties with the United States, receiving US$95 million a year during the early Eighties. The U.S. decided that by supporting the military regime democracy could be encouraged and Soviet influence could be squelched. For his part, Doe expelled Libyan diplomats in Monrovia and ordered the USSR to reduce its diplomatic staff. Doe also permitted exclusive staging rights for the U.S. Rapid Deployment Force to use Liberian ports and granted the CIA permission to base covert operations for Libya and Chad in Liberia. Intelligence reports, as a result, were granted to the Doe government, giving "the CIA and the White House a huge stake in keeping the Liberian regime in place," according to Africa News Service reporter Reed Kramer. Soon after coming to power, Doe began to impose authoritarian and non-democratic policies. He banned newspapers, outlawed the largest opposition parties, and staged an election in which his defeat was obvious to every observer. Washington, however, accepted Doe's "election" and ignored his deteriorating human rights record because of the increasing urgency of CIA operations in the region. 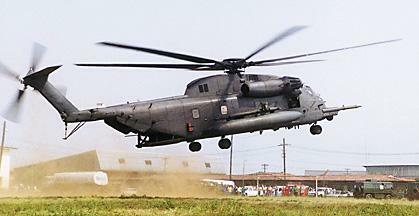 An attempted coup in Libya was based in Liberia as was air support for Angola's CIA-supported rebels, UNITA. By 1988, the Doe government was deep in debt and required fiscal supervision by the U.S., which sent 17 U.S. Agency for International Development experts. Their work failed within a year and Samuel Doe faced his greatest crisis. Charles Taylor, meanwhile, left his job as a procurement clerk with the Liberian government to escape embezzlement charges of one million dollars and wound up in the United States. He was detained in the Commonwealth of Massachusetts but escaped from prison while awaiting a hearing and headed straight for the Ivory Coast, where he organized a group of rebels. Taylor's group began to advance on Monrovia, terrorizing villagers, and although Doe countered with military strikes the rebels push was succeeding at an alarming rate. The U.S. was immediately expected by analysts to intervene with support for Monrovia, but instead sent two observers and deployed a marine amphibious unit to help evacuate American citizens in the country. 8) the Congo Defense force, reportedly an off- shoot of the NPFL. 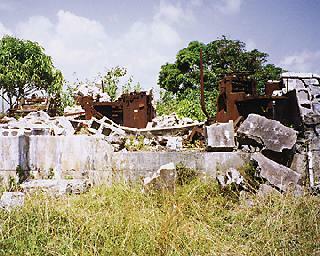 The breakdown of the cease-fire resulted in the destruction of SW radio station ELWA again and the Voice of America MW station in April 1996. "Every building on (the ELWA) campus was stripped of doors, windows, plumbing, and electrical fixtures" during massive looting (SIM) and the missionary staff, which had been held up in their hospital, were finally evacuated with military helicopters. According to one missionary, a group of drugged looters "said as they left that if they saw us again they would kill us. It was scary, but I felt that God would protect us. When our phone went dead and we were completely cut off, we knew that it was not safe to stay any longer" (YMAM). Another missionary reports that the situation had become so desperate that the U.S. embassy radioed to personnel that "You have ten minutes to prepare for evacuation. An armed convoy will arrive at the mission to get any foreigners out. If you're not ready in ten minutes, you'll be left behind" (Steffen). ELWA's 10 and 50 kilowatt SW transmitters, "which had been nearly ready to resume broadcasts... after a silence of nearly six years" were gone (SIM UKView). Director of SIM Western Africa John Shea reported soon after the destruction that "The ELWA 10kW (60 metre) and 50 kW (shortwave) transmitters were not taken but are completely unusable. The 50 is not even worth trying to repair" (SIM NOW). In fact, the 10kW transmitter ended up in the hands of Charles Taylor and his thugs to broadcast programs for Radio Liberia / the Liberian Communications Network on 5100 kHz after a fight between Taylor's NPF forces and Roosevelt Johnson's ULIMO group (Ifex Alert). Two months later, ULIMO was brought to its knees when the NPF arrested Johnson. Elections were indeed held in accordance with the Abuja Peace Accord on July 19, 1997 and resulted in an overwhelming victory for Charles Taylor and his party (75% of the results), the NPF. Taylor's Liberia is deep in debt and desperate for private-sector aid in reconstructing the nation. Although he promised to include opposition parties within the government, he quickly reneged the offer and began a censorship campaign in January 1998. Among the casualties of this tactic are Radio Monrovia (a privately run station), Star Radio (operated by Foundation Hirondelle - which also runs Radio Agatashya for Rwanda - and the USAID), and Kiss FM - Taylor's own radio station, presumably to dissolve any criticism for the closures as well as to save money since it was originally set up as a propaganda piece to support his election campaign - which he won. A discussion of Radio Monrovia and Star Radio is necessary. The Taylor government alleges that Radio Monrovia sold access to its FM frequency to Star Radio, which both stations refute. It is clear, however, that domestic political concerns are at the heart of this controversy since both stations are funded in part by the Foundation Hirondelle. Foundation Hirondelle is a Swiss based NGO comprised of journalists to provide programming to support humanitarian relief efforts. Their work is well known to DX'ers and radio listeners through Radio Agatashya - a program broadcast from Gabonese and Ethiopian SW transmitters to Rwanda. Taylor obviously is concerned about the content of the programming on these stations since Radio Monrovia is known to rebroadcast excerpts from the Voice of America that may or may not support the government's policies. The Star Radio story, however, runs deeper and I believe classifies it as an overt "white" clandestine. First of all, it is partly funded by the USAID through the Washington-based International Foundations for Elections Systems (IFES). IFES, in turn, granted funds to the Foundation Hirondelle to rejuvenate the human rights situation in Liberia - through support for Star Radio. This station is meant to serve as a neutral platform for ethnic Liberians and opposition parties, and as a result, has come into conflict with the interests of Taylor's government. In fact, it began broadcasting less than a week before Liberia's election took place to counter Charles Taylor's stations, Kiss FM and Radio Liberia, and when it was clear to all observers that Taylor would win. Not every clandestine is operated by guerilla groups or intelligence agencies. The United States, as history has shown, does not want to become entangled in a Liberian quagmire, so therefore, it is understandable that its long reach would touch humanitarian NGO's. Star Radio may not broadcast bullet fire, but its objectives are political and are meant to directly affect the progress of democracy in Liberia. I believe that Star Radio harks a new trend in U.S. foreign policy and clandestine radio broadcasting. In fact, it can be termed as the "bureaucratization" of clandestine radio. As humanitarian military interventions become the norm, there will be less of a need to fully back one interest group or another. The Cold War is gone and policymakers are reeling in budgets for increasingly ambivalent voters on international issues. Therefore, we may witness the U.S. reaching less with its covert action arm and more with overt humanitarian and political support. In Star Radio's case, funding did indeed come from the United States but not through the CIA. It came from a less "suspicious" source, the U.S. Agency for International Development, in a US$2 million package. The question now remains as to how developments will proceed for Star Radio and Liberia's fledgling democracy. Outlawed Radio Monrovia has already returned to the airwaves, and Star Radio was given permission to return to the airwaves in early February. Foundation Hirondelle's sister station, Radio Agatashya, has broadcast from Ethiopia and Gabon so it is plausible that should another political debacle occur they may try this alternative again rather than maintain a domestic Liberian radio outlet. On the other hand, should a group of Liberians be exiled or set up shop abroad we may have another clandestine voice to follow over the airwaves. Regardless of what evolves, it is clear that Star Radio may be remembered as a quiet turning point in clandestine radio broadcasting. Ejime, Paul. "Charles Taylor's Rough Road To Liberian Presidency." Pan African News Agency, July 24, 1997. Ifex Alert. "Radio station and transmitter torched." Press Release, May 3, 1996. Kramer, Reed. "Liberia: A Casualty of the Cold War's End." CSIS Africa Notes (July 1995). Shea, John. "Was it Worth It?" SIM Press Release 1996. SIM. "Despite Setbacks, the Seeds Planted at ELWA Continue to Grow." Press Release, 1997. SIM NOW. World Report 1996. Press Release, Winter 1996. Steffen, Bonne. "Escape From Liberia." Christianity Today. November / December 1996. YMAM. "Mission Leaders Evacuated after Lives Threatened in Latest Violence." June 1996. ----. "Liberia: The Evacuation." SIMNow. Summer 1996. Liberia Communications Network Frequency wrong! USAID FY 1998 Congressional Presentation USAID supports a "consortium" of prominent Liberians and the International Foundation for Election Systems to push a media campaign. Officials in Liberia say an independent Liberian radio station shut down by the government a month ago has been given permission to resume broadcasts from Friday. The telecommunications ministry took the station, Star Radio, off the air for using a frequency allocated to its sister station, Radio Monrovia,without authorisation. A spokesman for Star Radio said the station had repeatedly applied for permission to use the frequency, and stressed that the government had never complained about the station's reporting since it began transmissions last July. Star Radio is run by a Swiss-based non-governmental organisation funded by US Aid for International Development. Liberia Shuts Down U.S.-Funded Radio Station Cited on Washington Post January 8, 1998. MONROVIA, Liberia -- Liberian authorities ordered the closing of a radio station funded by the United States as a neutral voice for the country's political groups. Communications Minister Maxwell Kabbah told the station's managers that Star Radio had violated the law by broadcasting on a frequency allocated to another company, Radio Monrovia. "They have said we are not properly constituted, so they ordered us closed down," station manager George Bannett said. Star Radio was established before Liberia's elections last July 19 to counterbalance Kiss FM, the highly effective radio of faction leader Charles Taylor, who went on to win the presidential election. The voting marked the end of a seven-year civil war. Star broadcasts in 14 Liberian languages, as well as in English and French, on FM and shortwave frequencies. Star is funded by the United States Agency for International Development through the Washington-based International Foundation for Elections Systems, which played a key monitoring and logistics role in the Liberian polls. Liberia shuts radio station after Internet flap By Jackson Kanneh Published on the Internet by NaijaNewsDaily, January 8, 1998. MONROVIA, Liberia (Reuters) - Liberian authorities Wednesday ordered the closure of a radio station funded by the United States as a neutral voice for the country's political groups, after the government charged the media outlet with violating policies by publishing news on the Internet. "They have said we are not properly constituted, so they ordered us closed down," station manager George Bannett told Reuters. Just before the closure order, the government had accused Star Radio of placing Liberian newspaper articles on the Internet against government policy, a charge Bannett denied. "We don't put newspaper articles on the Internet. We fax out transcripts of our news bulletins to our partners in Holland who then put them on the Internet, mainly for Liberians living abroad," he said. He said the minister had raised the question of the Internet articles at a recent meeting. Star Radio was established in the run-up to Liberia's July 19 elections marking the end of a seven-year civil war to counter-balance Kiss FM, the highly effective radio of former warlord Charles Taylor, who went on to win the presidential poll. Star broadcasts in 14 Liberian languages as well as in English and French, on FM and short-wave frequencies. Taylor unexpectedly shut down Kiss FM radio and television company on Tuesday grounds of inefficiency. Star is funded by the United States Agency for International Development through the Washington-based International Foundations for Elections Systems, which played a key monitoring and logistics role in the Liberian polls. The closure of Star Radio appeared to be part of an ongoing government crackdown on the Liberian media which has drawn strong condemnation from human rights groups, diplomats and the church. Authorities Tuesday banned the independent Heritage daily for an indefinite period without offering any reason. Heritage last week published an article critical of the government for its strained relations with the ECOMOG West African peacekeeping force that has been policing Liberia since shortly after the start of the war in December 1989. "The diplomatic corps is concerned about recent violations of human rights such as freedom of speech and movements," Sierra Leone's ambassador, Wilfred Kanu, said on behalf of foreign diplomats at an official reception last Friday. "The international community is ready to give full support to the reconstruction of this nation provided that there is a genuine commitment by the government to uphold the rule of law, such as freedom of the press, unrestricted movement of persons and respect for human rights," he added. Ambassadors present included those from the United States, Germany, Spain, Nigeria, Ivory Coast, Egypt and Taiwan. Human rights and religious groups have denounced abuses. Journalists publishing articles critical of the government have been detained and their offices raided. The information ministry has dismissed the criticism as unjustified, saying that journalists and publishers who had fallen foul of the law had been properly charged in court. MONROVIA, Jan 17 (Reuters) - Liberia's independent radio station, Radio Monrovia, has returned to the airwaves a week after the government banned it in a dispute over frequencies. The station, which returned on Friday night, was the second independent broadcaster closed by President Charles Taylor's government this year. A telecommunications ministry statement on Saturday said that the ban was lifted and the station's FM frequency restored after the two sides reached a compromise over a fine. Post and Telecommunications Minister Maxwell Kabah had withdrawn the radio's frequency after it failed to meet a January 9 deadline to pay a $5,000 fine. The ministry imposed the penalty saying Radio Monrovia had abused Liberian communications law by reassigning two of its frequencies to Star Radio, the other banned station, for cash. Star Radio, which rejects the allegation, was funded by the United States as a neutral voice for Liberia's political groups. The government shut it down on January 7 over the issue. Saturday's ministry statement said Radio Monrovia agreed to pay the fine after it was reduced to $2,500. Human rights groups, diplomats and the church have condemned an apparent crackdown on the country's media. Taylor, a former warlord, closed down his own Kiss FM radio station on January 5, saying it was inefficient. Kiss FM came back on the air shortly afterwards, without any explanation. Taylor, who launched Liberia's civil war in 1989, went on to win 1997 multi-party elections held under a peace deal. Freed American slaves founded Liberia in 1847. Copyright 1997 Reuters Limited. All rights reserved. Fondation Hirondelle, the Swiss-based journalists’ NGO which has set up the independent station STAR radio in Monrovia, Liberia, awaits the Liberian authorities’ response in order to resume STAR radio’s broadcast. STAR radio was created in July 1997 by the Fondation Hirondelle in order to provide an independent source of information to all Liberians and to assist the country ravaged by seven years of civil war in the process of reconciliation and reconstruction. Fondation Hirondelle planned to hand over the radio station to a Liberian entity in the course of 1999, once the technical and human capacity of the station would have reached a high professional standard and the station would have built a financial capacity to sustain itself. STAR radio was closed on January 7th by decision of the Ministry of Posts and Telecommunications due to a problem linked to the radio’s frequencies. Fondation Hirondelle reiterates its willingness to resume STAR radio’s broadcasting and has requested the Liberian Ministries concerned to provide their help and advise on the modalities for restarting the radio’s activities. A letter in this sense was sent to the Ministry of Posts and Telecommunications, the Ministry of Planning, the Ministry of Foreign Affairs and the Ministry of Information who had facilitated Fondation Hirondelle’s registration and who had supported the radio’s aims. Fondation Hirondelle awaits indications from the Liberian authorities and hopes that STAR radio comes back on the air soon. The independent Liberian radio station STAR Radio refutes allegations by the Liberian Minister of Posts and Telecommunications, Hon. D. T. Maxwell Kaba. The Minister alleges that STAR Radio, a news and information stn run by the Swiss-based NGO Fondation Hirondelle, was illegally allocated radio frequencies by Radio Monrovia when it was set up last year. Moreover, the Minister says that Radio Monrovia was paid US $15,000 by Fondation Hirondelle for this service. Minister Kaba says that because R. Monrovia usurped the authority of the ministry he ordered STAR Radio closed on 7th January. STAR radio refutes Minister Kaba's allegations. STAR radio was set up last year under the interim Government of Liberia. Fondation Hirondelle entered into a partnership agreement with Radio Monrovia. A fee of US $3,800 was paid to the Ministry of Posts and Telecommunications for the allocation of FM and SW frequencies. The Ministries of Planning, Foreign Affairs and Information, Culture and Tourism, and ECOMOG, formally approved the setting up of STAR Radio. The station began broadcasting on 15th July. No money was paid to Radio Monrovia for the frequencies, as the Minister alleges. There has been no complaint about any of the prgms made by STAR Radio, which broadcasts in 17 languages to Liberians inside the country and the surrounding region. STAR Radio's morning news bulletin is available on the internet. The project is funded by the U.S. Agency for International Development (USAID) through the International Foundation for Election Systems (IFES). STAR Radio's news and programs are compiled, edited and broadcast by nearly 100 Liberian journalists, technicians and administrative staff. STAR Radio very much hopes these difficulties may be amicably resolved, and that it may soon begin to provide again its service of news and information to Liberians. STAR Radio's Future is in Jeopardy! Posted on the Internet by The Human Rights Information Network, December 21, 1997. Friends of Liberia (FOL) has been receiving reports about the possibilities that the U.S. Agency for International Development (USAID) may not continue to fund STAR Radio. This possibility will, of course, put STAR Radio's future in jeopardy. FOL feels that the presence of an independent voice broadcasting to the Liberian people is important as Liberia moves towards peace and democracy. We urge you, therefore, to contact Mr. Brian Atwood, the USAID Administrator, by mail or FAX expressing your opinion about the value of STAR Radio. STAR's funding from USAID runs out December 31st, so it is imperative that we do something quickly. While those of us who regularly receive STAR Radio's daily news summaries find them intesting and quite useful, we must remember that we are not STAR's most important audience. Its purpose and its funding depend on its success in reaching its Liberian audience. Therefore any letter you write or FAX to Mr. Atwood should stress how important STAR's role is as an unbiased voice in Liberia. For those who may be unfamiliar with the history of STAR Radio, I am enclosing a few notes that may help you make your points. I urge you to use your own words and stress STAR Radio's importance for Liberians. For the last five months, STAR Radio has been a major source of independent and nonpartisan information for Liberians. STAR Radio was founded because of the realization by many Liberians and the U.S. government that there were major inequalities in media access leading up to the July 19th election. Before the election, the faction led by Charles Taylor, who won the election, effectively controlled most of Liberia and most of its resources. Among these resources were an FM radio station and the only shortwave radio station in Liberia. 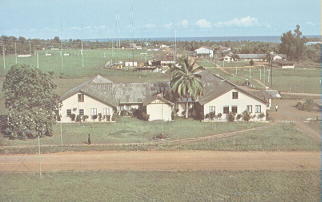 These Taylor-controlled stations dominated the airwaves before and during the election and were the only ones able to broadcast to all of Liberia. To help remedy the inequities in radio access, USAID in cooperation with the Swiss-based Fondation Hirondelle, established STAR Radio as an independent FM and shortwave station in Monrovia. STAR Radio has now been broadcasting since shortly before the election. Its independent voice is even more necessary now given the oligarchic and bureaucratic tendencies of the past and the configuration of the present Liberian government, i.e. majority rule in all branches. Obviously STAR Radio cannot continue indefinitely to receive its funding from USAID and other international donors. It must eventually become a Liberian owned and operated station. Plans for this transition are already underway. It, therefore, seems shortsighted at this time to cut-off funding for this important independent voice in Liberia.